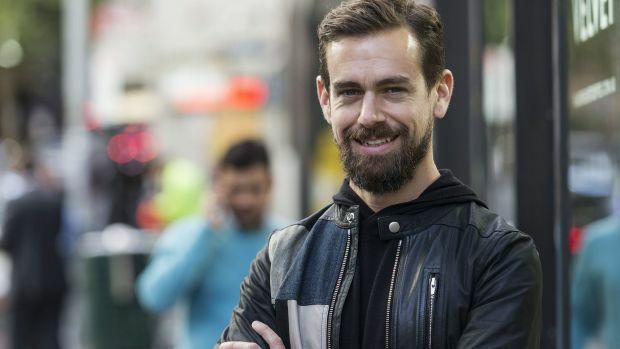 Jack Dorsey, the co-founder and chief executive of Twitter, was in Australia earlier this month spruiking his state-of-the-art payments technology, Square. Square sells a bit of plastic which you can stick into your mobile phone to allow small businesses to accept card payments. It is high time somebody did something… because this country is being robbed. Meanwhile, as Dorsey was holding forth about Square, one of his customers in Australia was striving to pay his Twitter advertising bill but was told Twitter would only accept a wire transfer to a company in Singapore. “A wire transfer?” inquired our small business contact Chris Brycki, who runs financial services business StockSpot. Surely that’s a bit old-fashioned. He asked his Twitter account executive that, as he was busy and would prefer not attend the bank physically to make this payment to Singapore, would there be a more contemporary way to pay? “We are an Australian business and as such don’t have overseas bank account payment facilities. Please provide a local bank account, cash, PayPal or credit card payment option for this invoice,” he wrote in an email. 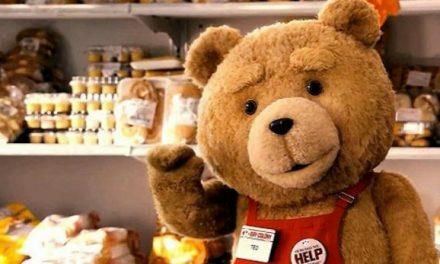 If you guessed this story is about multinational tax skulduggery, you are right. We will get to that shortly. Besides wire transfer, Brycki was told there was another option (no, not carrier pigeon) … payment by cheque. The cheque is a far more ancient method of payment than even the wire transfer. The wire transfer was launched by Western Union in 1872 and became a popular method of payment which created significant employment opportunities for telegraph operators in the Wild West. However, the cheque is a far more established payment option. It is believed the Romans pioneered an early form of the cheque known as praescriptiones in the 1st century BC. Early Muslim traders are also known to have used the cheque, or the ṣakk system, since the time of Harun al-Rashid in the 9th Century of the Abbasid Caliphate. And by the 17th Century cheques or “bills of exchange” emerged as a method of payment used by scriveners and bankers in the City of London. As banks have a penchant for hanging on to people’s money for as long as possible, it is still used today. Yet our small business contact, Brycki, was stuck. Being under the age of 50, he was not au fait with the joys of the cheque. And, ironically, it seemed he was not even to be availed of Jack Dorsey’s next-gen payments system, Square, in order to pay his account either. In fact, he has now been threatened with debt collectors for his bill of $1,349.44, which he has been endeavouring to pay, except via overseas telegraphic transfer. A Twitter spokesperson told Fairfax Media that customers could use cards to pay. Though the email to Brycki suggests otherwise. “All our existing customers in Australia are able to process payments via wire transfer into the AUD bank account we have provided on the invoice. We have some questions: how the blazes can Twitter, and its ilk such as FaceBook, Pandora and Buzzfeed, get away with calling itself a “small company which is not part of a large group” and therefore skive out of disclosing financial accounts in Australia? We quote a notification by Twitter from the database of the Australian Securities & Investments Commission: “384 – Notification of Resol. By Directors of a Small Pty Company Controlled By a Foreign Coy Which Is Not Part of Large Group”. Not part of a large group? 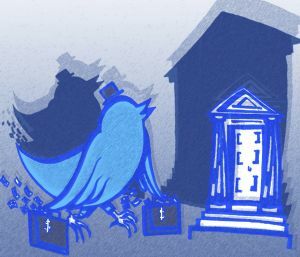 Twitter Inc, the ultimate parent of Twitter Australia Holdings Pty Limited (via Twitter International Company of Dublin, Ireland), is valued at $US11 billion on the New York Stock Exchange. Globally, quarterly revenues are running at $770 million and rising strongly. 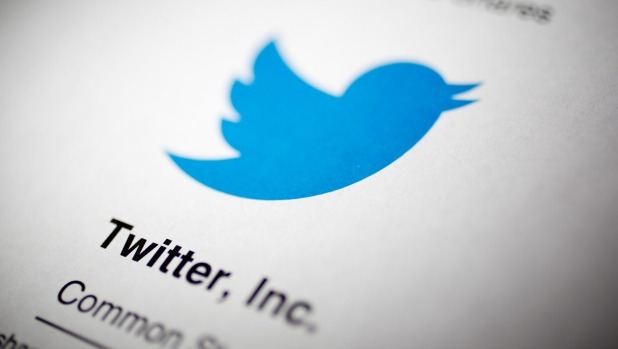 In Australia, the latest estimates put Twitter users at four million. Yet this obviously large company has been gifted an exemption from ASIC from filing, an exemption not available to local companies, which allows it to masquerade as a small company. All this is irrefutable proof of the double life and the double standards of US tech multinationals operating in Australia. But what of the Twitter doppelganger, the ugly face of the digital new-guard? The reason they want to hide their accounts is tax; they prefer to dodge it. Well might it be that its Australian customers reaching an Australian audience are served by Australian account executives from Twitter. These customers are billed by Twitter Asia Pacific Pte of Singapore. Of the three directors listed here, one resides in San Francisco and another in Singapore. It is a rort, ditto the corporate structures of eBay and Google, and it is high time somebody did something about it because this country is being robbed.